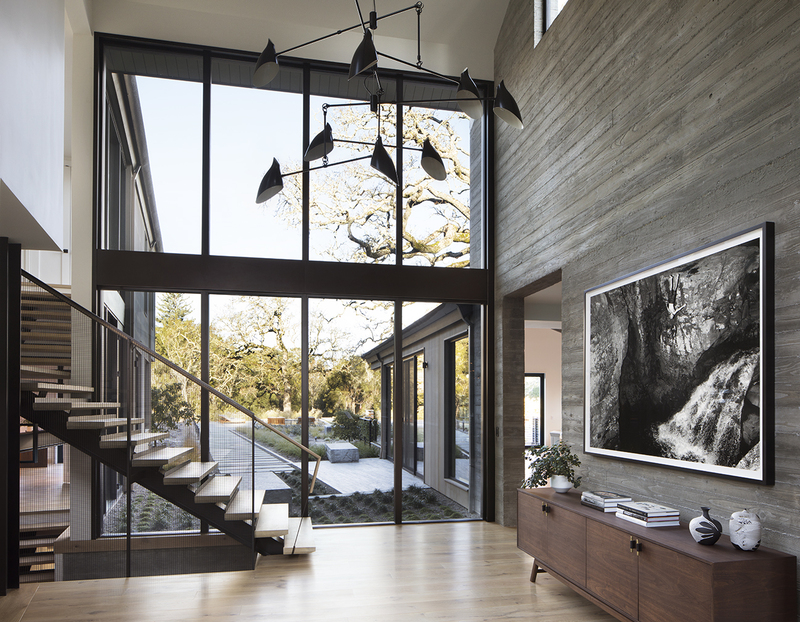 Just south of San Francisco, this remodel endured a complete transformation with its most extreme conversions redefining the entry to the house as well as adding a level of uniformity to the exterior façade. 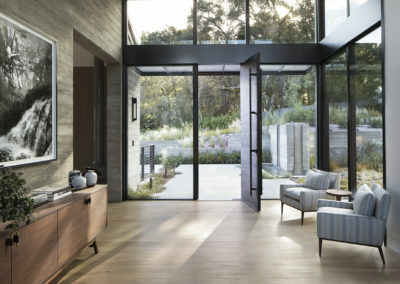 One of the most challenging requests from the home owners was to clarify the arrival sequence of the home, both from the exterior and interior, while looking for ways to improve the curb appeal of the façade. 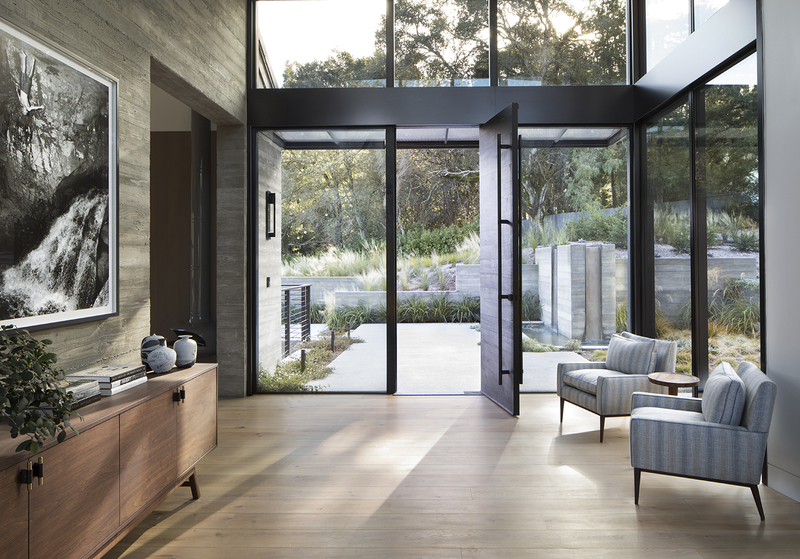 Collaborating with Arterra Landscape Architects, the teams anchored the entry with a large water feature near the entry door, and used in-stepping retaining walls to help funnel guests to a more inviting entry. 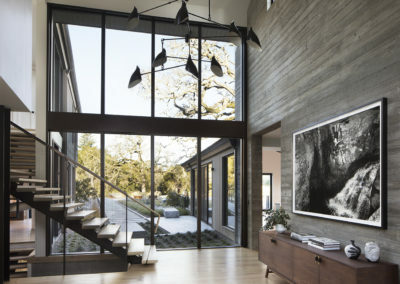 The entry stair design was simplified to give it a visual transparency that helps reduce its presence in the space. 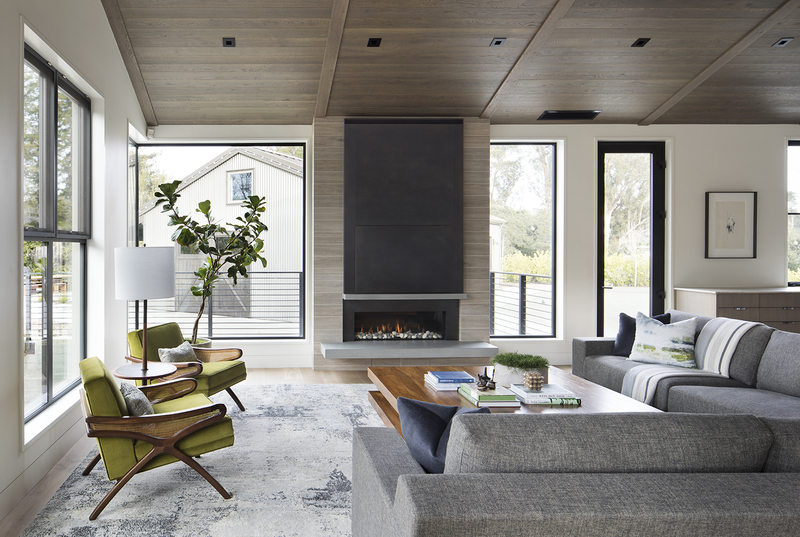 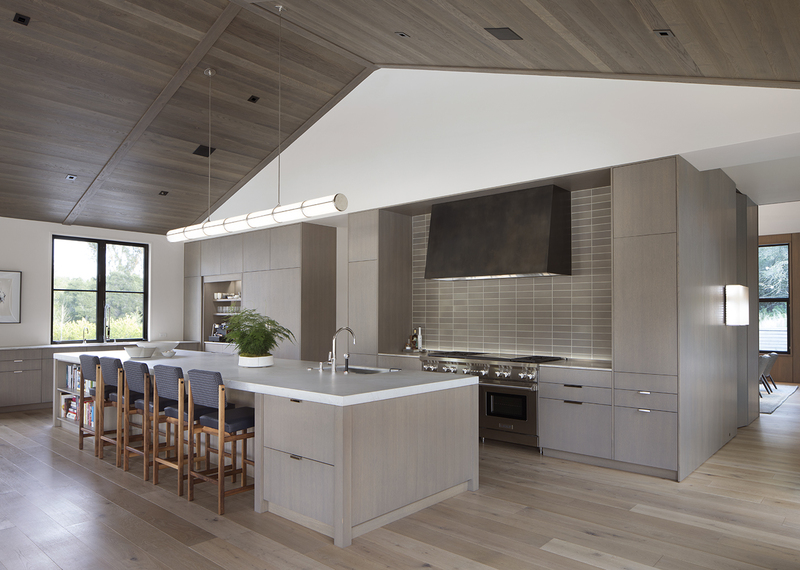 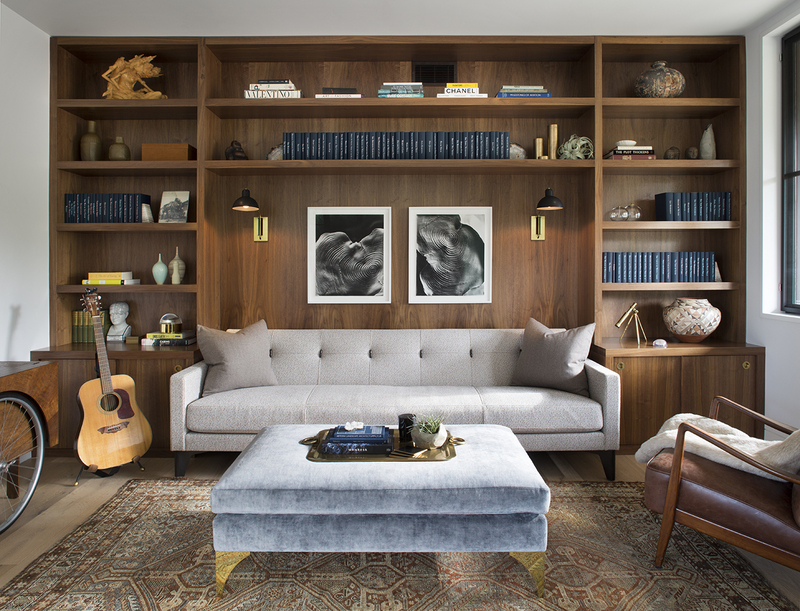 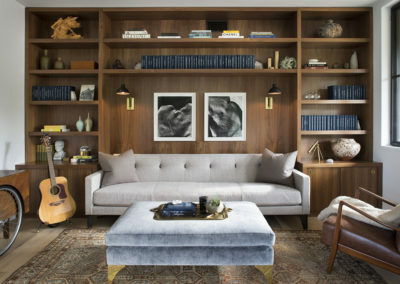 For the interior, the team at Kendall Wilkinson Design filled the home with warmth and “soul” with timeless silhouettes of mid-century furnishings offering clean-lined sophistication to each space. 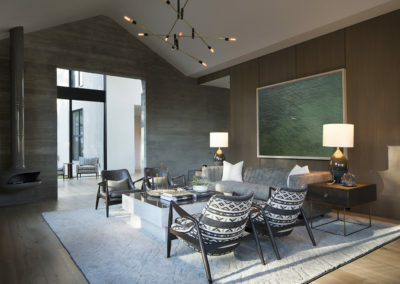 Art makes a statement in each room but does not take away from the overall design concept of the home or landscape. 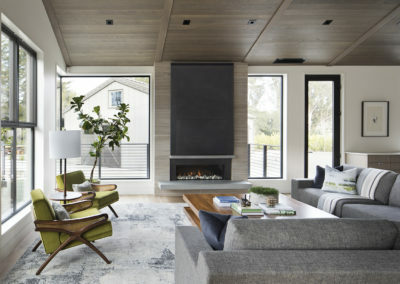 The completed transformation of the home demonstrates the expected credentials of a modern farmhouse, while implementing the personal touches of the clients’ design and living aspirations. The result delivers a contemporary yet comfortable “forever home” for the Bay Area family to enjoy for years to come. 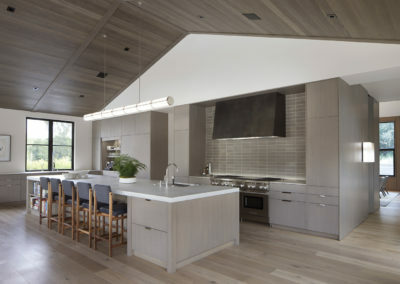 Structural Engineer: Max Chen & Associates, Inc.